Purchase this product now and earn 42,420 Reward Points! In Functional Medicine, the 4 R’s of balancing microbiome ecology in the G.I. tract is considered the foundation to establishing overall health. 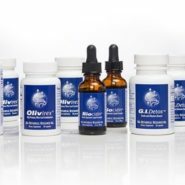 Our Comprehensive Cleansing Program™ addresses the 4 R’s with specialized and synergistic formulations to provide a clinically effective, easy to use program. Typically a minimum of 2 months use of our formulations, along with a healthy diet is recommended to address microbial imbalances and restore intestinal ecology. Our Comprehensive Cleansing Program is easy to administer, includes our Usage Guide, and is a 15% savings over the total cost of the individual products. 2 Biocidin® 90 capsules, 3 G.I. 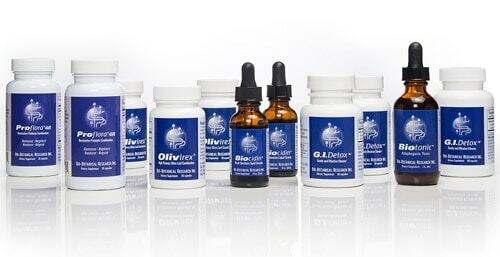 Detox™ 60 cap, 3 Olivirex® 60 cap, 2 Proflora®4R 30 caps, and 1 Biotonic™ 60 ml.